Compatibility: Standard USB-A port hosts and micro USB enabled devices including smartphones, tablets and other portable devices. Connects standard USB (USB-A) ports to standard micro USB–enabled devices. High quality, safe and reliable: Design verified by more than 10,000 cycle bending test, 10,000 cycle plug-in and out, and 50N/kgf for the pull test. * In order to enable fast charging, the charger and device must both support fast charge capability. 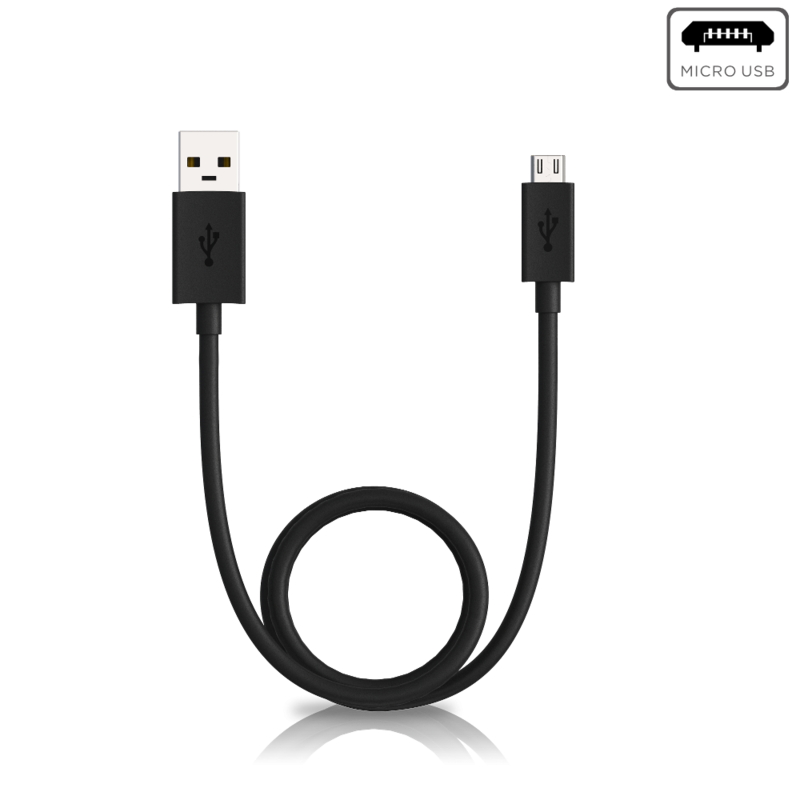 Standard USB-A port hosts and micro USB enabled devices including smartphones, tablets and other portable devices. Can I use this cable for data transfer? Yes. But your device must be standard micro USB compatible. Transfer speed is up to 480 Mbps. Will this cable work with Motorola TurboPower™ 15+ Wall Charger SPN5971A? Yes. But your device must be standard micro USB compatible. Will this cable work with Motorola USB Rapid 10W Charger SPN5944A? Yes. But your device must be standard micro USB compatible. Please note that SPN5944A is white color and this cable is black color, but the color won't affect the functionality. Will this work as a turbo charger if I plug it into a USB wall outlet? No. The charger and device must both support turbo charge capability in order to obtain fast charging. The wall outlet normally does not have turbo charge capability. Will this cable work with the moto z2 force or moto z2 play? No. Moto Z family phones use USB-C connectors. Please use Motorola Data/Charging Cable USB-A To USB-C from our website for these phones. Will this cable work with moto g4, g4 plus, g5, g5 plus, g5s, g5s plus, g6 play, e5 plus, e5, or e5 play? Yes, these phones use micro USB connectors. However, you will need to have a turbo charge capable phone as well as a turbo charge capable charger in order to obtain fast charging. Will this cable work with moto m, moto x4, moto g6 plus, or moto g6?